June is cruising along quite quickly if you ask me. We’ve had some great thunderstorms, some soft breezes, and certainly a lot of heat. 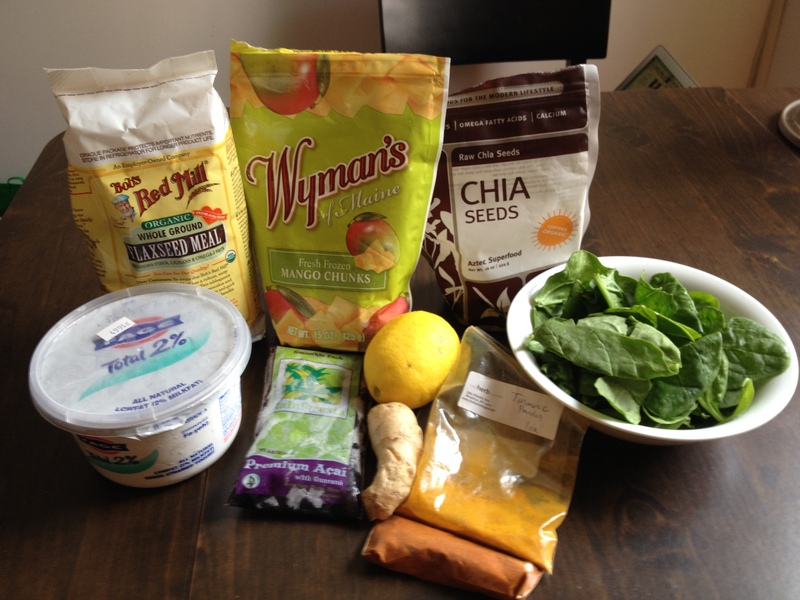 When you can’t quite stomach a big meal but want to pack a nutritious punch in your day… just blend it, baby! 1 handful of other frozen fruit. I had mango. Use whatever you’ve got; this is where you’ll add in a bit of sweetness. 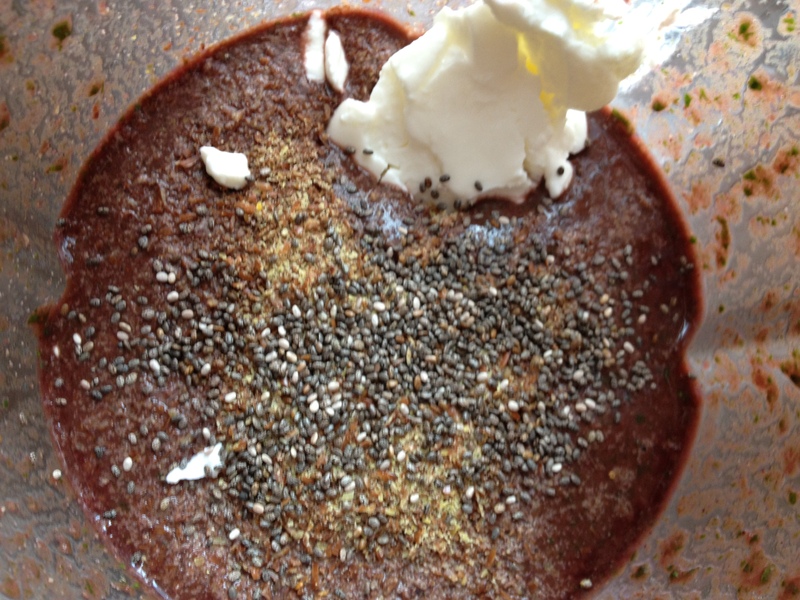 Break the packet of acai up into a few pieces so it isn’t so hard to process in the blender. You may want to run it under cold water for a second. Careful with this stuff… it’s juicy, likes to jump out of the packet, and my guess is would easily stain! 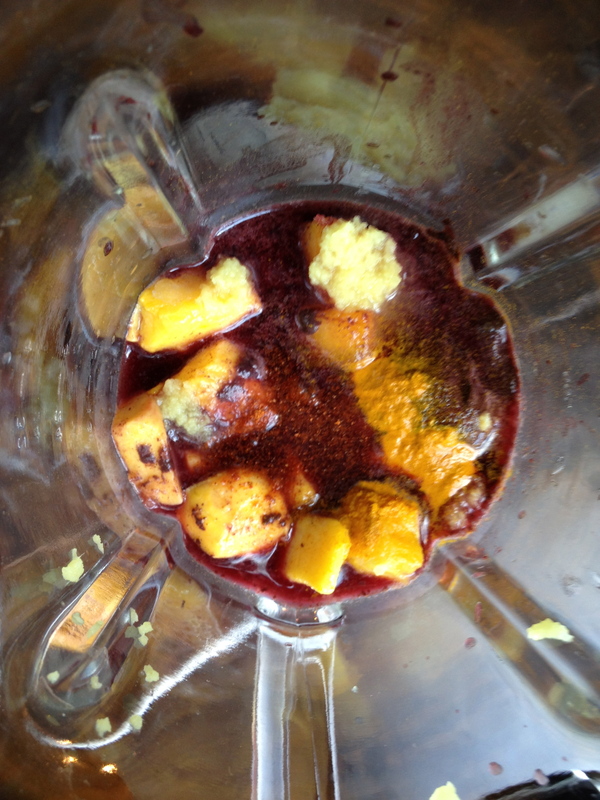 Add acai and mango or other fruit into the blender. Pour in a little bit of water (I used seltzer just for fun, to give it a bit of extra life). Add in the lemon juice, turmeric, cayenne, and ginger. If you don’t have fresh ginger, you can definitely use ground. It just isn’t the same. I sometimes get a bit nauseous with a lot of heat and humidity, especially if I’m working out in it, so I find the ginger really calming and stomach-settling, beyond just being ridiculously delicious. Bask in the beautiful glory of the colors you’ve compiled, then put the lid on and blend until the big chunks are broken down. Next, push in the spinach. Once a bit of the pile gets processed, the other leaves will follow. 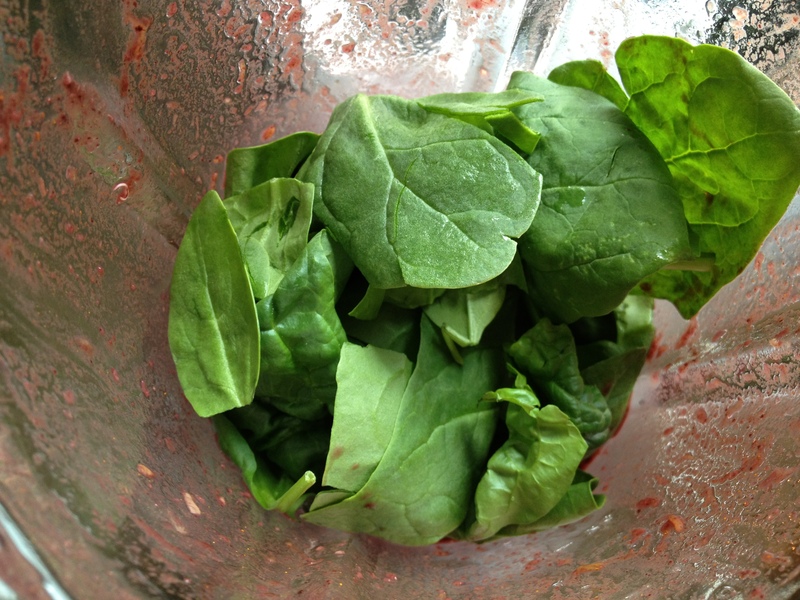 Blend this until you just see very small bits of spinach, no sizable pieces. The rest of this is a bit more free-form. 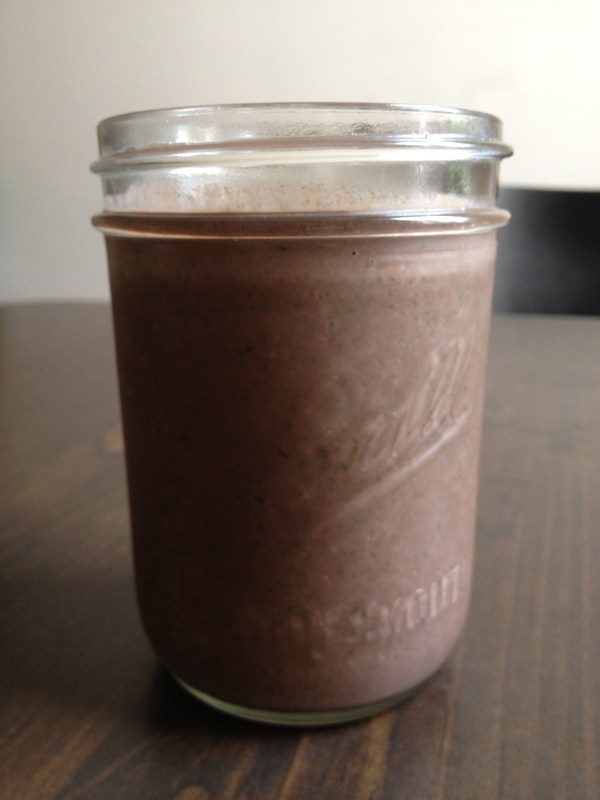 If you have flaxmeal and chia, I recommend adding them in for more fiber and full-factor. Same goes for the yogurt; if you’re paleo or dairy-free, you definitely do not need this in there. I was creating this as more of a meal and wanted to benefit from a bit of protein. Blend a bit more until it’s all smooth, then give it a quick taste. At first, the cayenne and other spices can catch you off guard a bit, but I find the variety of flavors actually wake me up in the morning and allow me to also enjoy each sip slowly. Variations? Other ideas? Post them to comments. This is a tried-and-true version for me, but there are certainly plenty of other possibilities!